An innovative straight-pull bolt action. 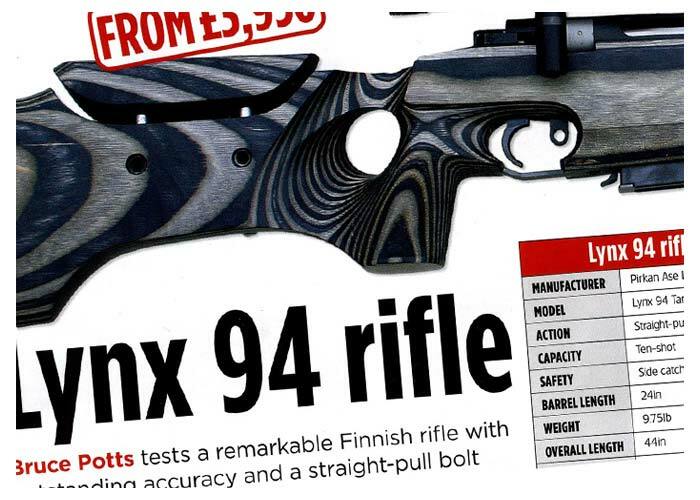 The Lynx 94 is a patented straight-pull bolt action, designed by Mr. Torsti Laaksonen, a leading Finnish master gunsmith. The swift, simple and reliable bolt designed for target shooting is unrivalled by anything on the market. "We do handcrafted rifles. Every rifle should, and will be as good as the last. We do the rifle as good as we can, or not at all." A straight-pull rifle for competition shooting. The trigger pull is adjustable between 0.5 and 1.2 kg. The stock is made of laminated wood (laminated stock colours available). The cheek piece is horizontally and vertically adjustable. On request, a takeup trigger pull is available. Read More. A straight-pull rifle for hunting. The stock is available in either laminated wood or three choices of walnut. Lynx 94 Light Hunter. Lynx Straight Pull Bolt. Smooth action opening and closing the bolt, using the iconic bolt handle and simple to use mechanism. Read More. The barrelled action of the Lynx 94 TD 12 is bolted directly to a solid milled block of engineering grade aluminium. This anodised aluminium block has a rail extending forward under the barrel which carries the forearm wood. The stock is bolted onto the back of the block so that neither wood part has any contact with the barrelled action. Read More. The TD15 Black is a straight-pull rifle with a removable synthetic black buttstock. The fixed barrel guarantees accuracy and performance. The barrel and action are blued and the synthetic stock is very resistant to bad weather. Read More. The new Short Action joins the long and medium actions already existing. The stock on this model is selected walnut in the English style with straight comb and open grip, making the rifle a delight to handle and carry. Magazine capacity in .223 is 5 plus 1 in the chamber and the optional extended magazine has a capacity of 11 plus 1 in the chamber. Read More. 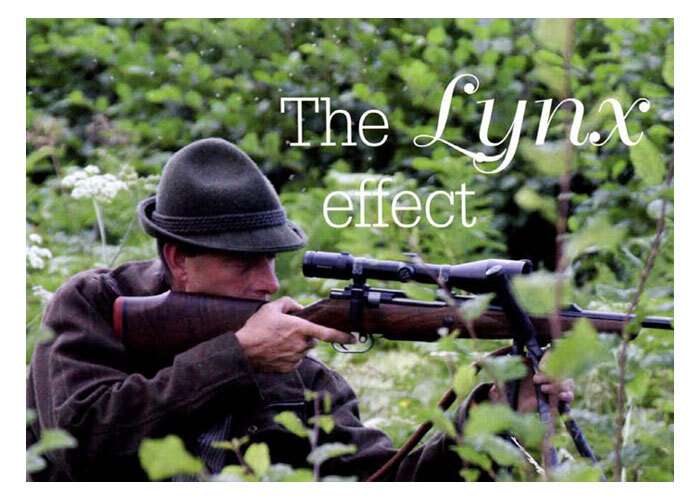 Pete Moore reviews a Lynx 94 Short Action. 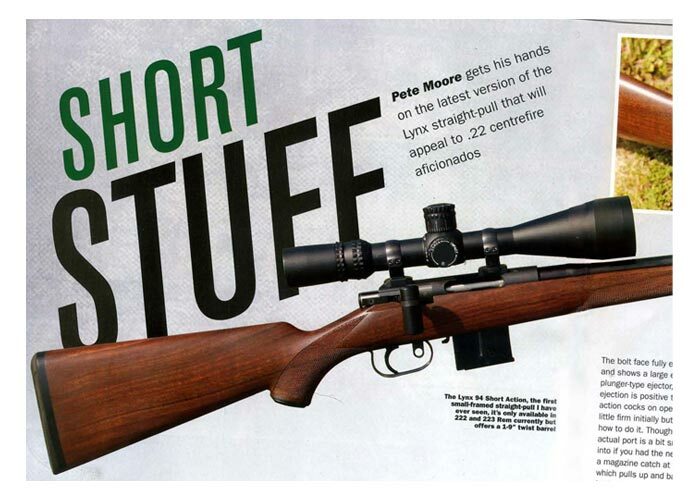 The rifle in .223 calibre has been put through it's paces in this review in Shooting Sports. Bruce Potts reviews a Lynx TD 12. 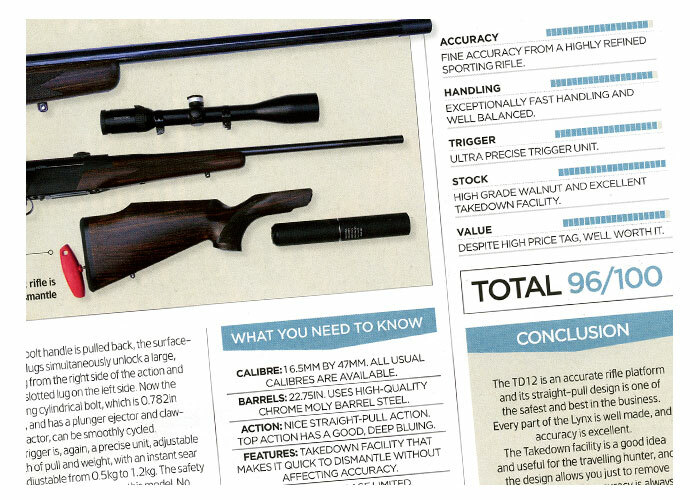 This review of the Lynx TD has the highest score ever received in Shooting Times Magazine. 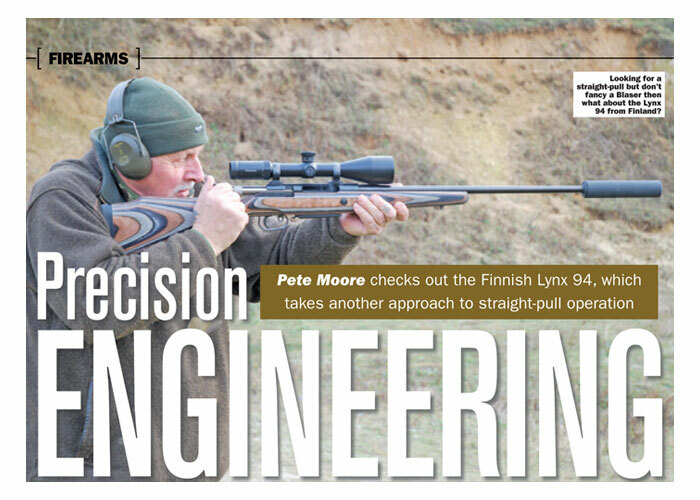 Pete Moore reviews a Lynx 94 Hunter. 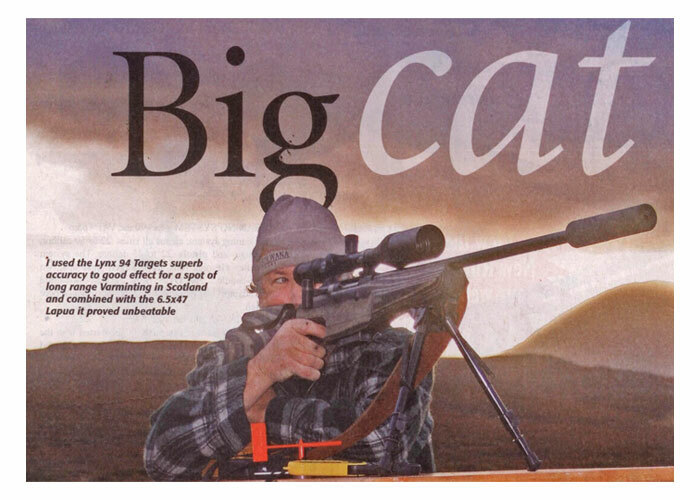 Tim Pilbeam reviews a Lynx 94 Hunter. Bruce Potts reviews a Lynx 94 Target. You can specify any combination available in the available models. See each of the Lynx Rifle options to see what standard options are available for each rifle. You can also browse the Options section to see what else is possible for the Lynx Rifles.